THE DEAD DAISIES will release the "Face I Love" EP on August 5 via Caroline/Universal. 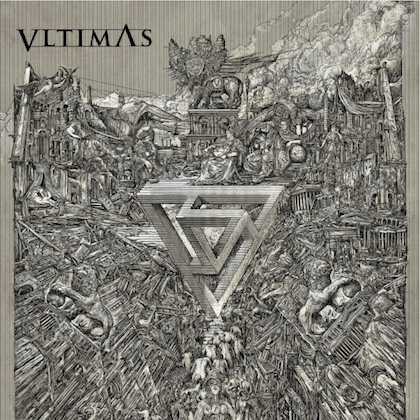 The title track will drop June 24 along with an innovative interactive Facebook application that will allow fans to be a part of the album cover art and music video. That same day, the EP will be available for pre-order with the song "Face I Love" given away as an instant-grat track to those who pre-order the album. Summer is synonymous with the road for this rock collective and they'll be spending July on tour with BAD COMPANY and LYNYRD SKYNYRD for seven East Coast dates starting July 10. 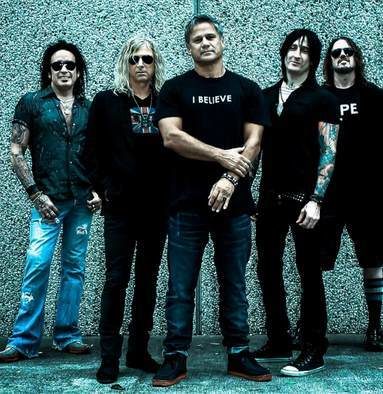 THE DEAD DAISIES were formed by singer-songwriter Jon Stevens and guitarist David Lowy in 2012. They have assembled a powerful musical collective created by a rotating lineup that features some of the best rock musicians on the planet with a sound that's influenced by late '70s and early '80s hard rock — big choruses, powerful melodies and strong hooks. The 2014 lineup includes Jon Stevens (NOISEWORKS, INXS) on vocals, David Lowy (MINK, RED PHOENIX) on guitar, Richard Fortus (GUNS N' ROSES, PSYCHEDELIC FURS) on lead guitar, Marco Mendoza (THIN LIZZY, WHITESNAKE) on bass, Dizzy Reed (GUNS N' ROSES, HOOKERS & BLOW) on keyboards and Brian Tichy (WHITESNAKE, FOREIGNER, BILLY IDOL) on drums. "This is the first group of songs that Diz, Marco and I have recorded with the DAISIES," declares Fortus. 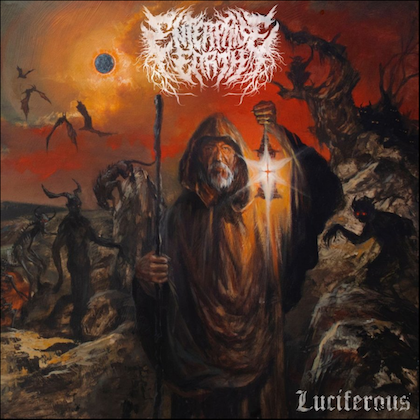 "I haven't been this excited about a recording in a long, long time and think they really capture what the band has developed in to over the last year of touring. It's new music for classic rock fans!" Despite being a band that consists of seasoned rock veterans, THE DEAD DAISIES celebrate technology and are heavily integrated into social media. 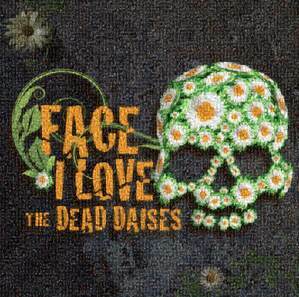 On Tuesday, June 24, THE DEAD DAISIES will launch the "Face I Love" app on their Facebook page. Created to represent the iconic daisy skull logo of the band, Facebook users will be able to upload an image of the face they love to the app to create a photo-mosaic portrait of THE DEAD DAISIES skull — and make it bloom. "Face I Love is dedicated to all music fans around the world, especially THE DEAD DAISIES fans, because, without you, we don't get to do what we do," attests Stevens. "It's like having a massive extended family seeing your smiling faces at our shows and for us that makes it all worthwhile." When the project comes to a close on July 27, the photo-mosaic portrait of THE DEAD DAISIES' floral skull, made up of thousands of images of fans of the band, will be used as the artwork for EP, music video, single and other promotional items. The promotion is a true collaboration between the band and their fans, bringing real meaning to the title of the song, "Face I Love". Marco Mendoza affirms: "'Face I Love' was written for our fans and all the faces we see out in the audience when we play. I believe it was one of the first songs that we all collaborated on in the studio for the first time and BAM!! Magic!!" In early 2013, THE DEAD DAISIES were invited to open for ZZ TOP in Australia. Word about their dynamic live show spread quickly and the band soon joined legendary American rockers AEROSMITH on their first Australian tour in 23 years. In August and September, THE DEAD DAISIES were part of the massive 25-date Rockstar Energy Drink Uproar Festival through the U.S. and Canada alongside ALICE IN CHAINS and JANE'S ADDICTION, among others. THE DEAD DAISIES' self-titled debut album was released in the U.S. and Canada through Caroline/Universal in August 2013 to exceptional reviews and was a featured iTunes release. Their first single, "Lock 'N' Load", a track co-written by and featuring legendary guitarist Slash, received airplay on radio networks across the U.S., including national airplay on SiriusXM satellite radio, both Alice Cooper's and Nikki Sixx's popular syndicated radio programs and was named Rolling Stone's Daily Download. The video for the single has been shown on over 20 outlets, including play on MuchMusic, which beams into more than 30 million homes across North America. The song also stormed the U.K. radio airwaves and was placed on a number of key playlists, including TeamRock, Kerrang! Radio, and went to No. 1 on Planet Rock radio. It has also received spins on the U.K.'s largest station BBC Radio 2. Their follow-up second single, "Washington", was equally successful and went top 20 on the rock radio chart (Mediabase).